Some really great information, developed by a friend, and now with Home Office recommendations. 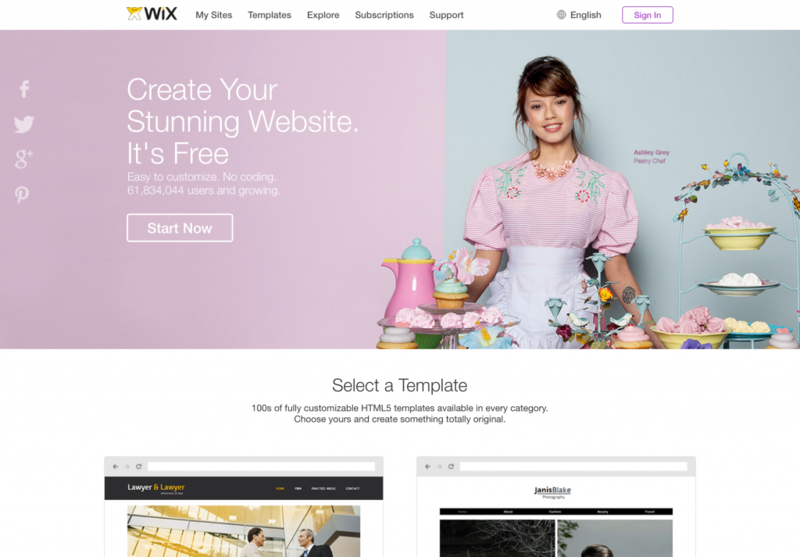 I’ve been hearing a number of people talking about the easy build system called wix.com over the last few years. What surprised me however, in some recent technical support for a client, was the cost of the various ‘optional add-ons’ available through their system, and also their comparative ineffectiveness. You can have your own domain name for around $15 a year, but to have email addresses hosted by Gmail at your domain (ie info@mydomain.com, sales@mydomain.com, etc. ), are $5 per email address per month! (this kind of email forwarding from your domain to Google should not incur such high prices, particularly when the set-up is a simple one-off automated digital process, and there’s no actual hosting of email bandwidth by Wix.com). They offer a ‘Shout Out’ option to send newsletters to your subscribers. This is limited to 5,000 emails per month (which is reasonable). However, as part of the email tracking, the email appears in the recipients inbox as a remotely hosting image of your email text (effectively a screen grab of an html email). Thus your email is not accessible to people with various visual impairments (the actual text cannot be easily extracted by character screen readers), the text itself is not scalable for different browsers (for your small mobile phone screen, your tablet, or your desktop, etc.). You can of course ‘design your own website’ (although if you’re not a skilled designer, experienced with usability and accessibility, etc. this is fraught with likely errors). Worst of all, is the way your website is displayed within your browser source code. They claim Search Engine Optimisation using an AJAX method. However, if you click on ‘view source’ of any page of a wix.com website, you’ll see a mass of code loading remote areas of content, but effectively no real text content within your browser. This does make it more difficult for search engines to naturally ‘crawl’ your website pages. In fact, the only ‘real’ content of your website kept in plain text (hidden deep in all the superfluous code) links purely to the hosting of wix.com. In essence, if you have regular text on your website, for easier accessibility by all, you want to display this in as little superfluous code as possible. The more code you hide your content behind, the longer the page will take to load (bad for limited bandwidth on mobile phones), the harder it will be for search engines to index (thus lower search rankings), and the harder it will be for people with some disabilities to use your website (which can be a breach of the Disability Discrimination Act amongst others). So what can be done instead? With very limited experience, you can build a free website in WordPress instead, using a free OpenSource ‘theme’ design which can also be modified easily to your preferred colours and layout. Or you can buy more customised themes ‘off the shelf’ from various developers, or even have your own unique design commissioned. And your website content will be more accessible, across multiple device options, with cleaner code, which should also appear higher on Google natural search results, with faster load times, and fewer errors. Please do get in contact if you have any queries. The scammers are back out again, now by email. This time, trying to get us to pay 5 times the regular price, for a domain name we already own, under the misdirection that if we don’t, we’ll loose it’s search engine submission. Once again, this is a load of *%#! Firstly, the email address it’s sent to, is the default email for all our hosted domains, at no point was it used to subscribe to any list (as detailed below). They are not a ‘Search Engine Optimisation Company’, they are scammers. If you receive any email similar to this, do not click on any links. Domain SEO Service Registration Corp. This important expiration notification notifies you about the expiration notice of your domain registration for jasonparlour.net search engine submission. The information in this expiration notification may contain confidential and/or legally privileged information from the notification processing department of the Domain SEO Service Registration. This information is intended only for the use of the individual(s) named above. If you fail to complete your domain name registration jasonparlour.net search engine service by the expiration date, may result in the cancellation of this domain name notification offer notice. Failure to complete your domain name registration jasonparlour.net search engine service process may make it difficult for customers to find you on the web. This domain registration for jasonparlour.net search engine service notification will expire 12/18/2014. You have received this message because you elected to receive special notification offers. If you no longer wish to receive our notifications, please unsubscribe here or mail us a written request to Domain SEO Service Registration Corp., 5379 Lyons Rd. 452, Coconut Creek, FL 33073. If you have multiple accounts with us, you must opt out for each one individually in order to stop receiving notifications notices. We are a search engine optimization company. We do not directly register or renew domain names. We are selling traffic generator software tools. This message is CAN-SPAM compliant. THIS IS NOT A BILL. THIS IS A NOTIFICATION OFFER. YOU ARE UNDER NO OBLIGATION TO PAY THE AMOUNT STATED UNLESS YOU ACCEPT THIS NOTIFICATION OFFER. Please do not reply to this email, as we are not able to respond to messages sent to this address. If you’re using a WordPress website (such as www.digi-pole.com) and provide secure member content using the build system called ‘OpenCrypt‘, then whenever WordPress is updated, the modifications to the source code gets overwritted, and the hidden text is no longer hidden (although items stored in the secure members area is still secure). If you use a WordPress blog system for your website, something which of course is very useful, is the list of ‘tags’ (keywords) you can assign to each of your blog posts. I personally prefer to change the smallest to ‘1’, the largest to ‘1’, the unit to ’em’, and then change the ‘separator’ from “\n” to “,\n” (thus adding a comma immediate after each tag, and prior to a space before the next tag). How can I improve my natural listing position on Google? There are of course huge numbers of people claiming to be experts in SEO (Search Engine Optimisation), the largest Search Engine of all of course being Google. However, the only real Google Experts, are those that actually work for Google right now. They’re constantly trying to improve their search results, making them more intuitive to humans, and more like human rankings. People will often find little loopholes on how to artificially improve your ranking position, with ‘black art’ techniques (things that will typically get your website blacklisted from Google, and therefore hidden entirely from view for at least 3 months). So as I’ve mentioned before, do the things primarily for the human user.. and Google will follow. So assuming that your website is already accessible to people with visual challenges (and therefore search engines can read it more easily too).. you’ve already made sure all your images have ‘alt’ text.. and of course you have lots of good readable text on each page (especially the homepage), etc. Websites with lots of good real content, related to the search terms (so you have something worth looking at, when the visitor gets there), especially content that’s updated, and added to regularly. So what is your speciality area? If your business is about hair extensions, talk about it through your integrated blog. Also, if you’re a geographically based business (ie in Reading), then talk about things going on locally too. Typically, the more often you update your website, the more often Google (and others) will think it’s worth looking at, which means the higher up the natural search rankings you’ll appear. So, for example, write about things related to hair extensions, or even anything to do with hair! i.e. your thoughts on the Royal wedding, any celebrities you see or know about with hair extensions in the press.. or even “if you’d like to have hair like ‘xxxx’ we have just the hair extensions for you”… It doesn’t really matter what you blog about, just blog more! If you can get your website talked about on related web forums (ie the types of forums your clients might read.. ie young mothers’ forums, rock, grunge, tattoo, etc..), with links back to your website, that will help too (try to keep it natural though, when mentioning your website). You could also reply back on other people’s related blogs, with genuine comments (and links back to your website in the signature). Any links through newspaper article websites, or the BBC would of course be very good for your natural search ranking. Having a Facebook Group for your business, that people can ‘like’ is of course also a very popular choice these days, with links back to your website (and photos on your Facebook page too of course). You could also try shooting a video of you doing what you do best. Put this on YouTube.. and this can then also help a lot with rankings too (as Google owns YouTube, and seems to really like links from popular videos back to related websites). All of the above should essentially be free! Why you can’t believe what you read in spam! Had another one passed through today, from a company claiming to offer financial reports of the top 600 companies in that particular business sector, which included the client company they were emailing. However, although this particular client has a limited company in the trading name, all of their trading actually went through a different company entirely, so the company details listed in the email, who was apparently performing in the top 600 of that industry (totalling tens of thousands across the UK), actually has the equivalent of a dormant company! Would you think it’d be appropriate to provide money to a company starting off with this false information? This is why it’s so important to not share your primary email addresses with mailing lists (or anyone who subsequently makes a mailing list out of your details). Once you’re on the spammer’s list, there’s no escape from junk like the one above (apart from shutting the email address down entirely). Although I run Parlour Design, I’m also involved with a number of other businesses too. One of these businesses has a generic info@ email address (which will get spam, regardless of how well the email address is encrypted on your website). I’ve advised the client to remove all traces of it, but historically it is still used by some genuine clients. My Name is Joy, and I am a web consultant with a website design/development firm with offices in the US/UK, and development center in India. I was browsing websites from your domain and came across “www.client-domain-hidden.com“. From what I could notice, your current website does not have an appealing design that visually caters to your client demographic. One of the great things about the Internet is that it has leveled the playing field when it comes to competing with the big boys. You have one shot at making a good first impression. With a well- designed site, your little operation can project the image and professionalism of a much larger company. The inverse is also true. I’ve seen many big company websites that were so badly designed and hard to navigate that they completely lacked professionalism and credibility. Good for you, too bad for them. Do let me know if you are willing to discuss a possible redesigning of your website, to make it more appealing and comply with the International web standards. In fact, it would be best if you could send in your phone number, location (city) and a convenient time for you to speak. Before I end, I thought it may help for you to know that our pricing packages start at USD 199 with no monthly fee and that, we have delivered more than 5000 websites over the past 6 years. I look forward to your mail and to speak with you. PS A call now could get you our inaugural discounts. So, apparently, Joy has had a look at the website, and now wishes to help us make it more appealing to web design standards (even though the site has been completely redesigned, optimised, made accessible, etc. in the last two months). However, even though she’s apparently ‘seen’ the website, she didn’t use any of the contact details from the website (as the email address she contacted the client on, isn’t listed anywhere on the website), similarly, all the other questions are also answered clearly on the contact page! I thought I’d do a quick check on how many times this email has been sent out.. (by taking a copy of a big bulk of text, and putting it in quote marks into Google)… however, rather than finding websites showing this email, I actually found 14 web design companies from around the world, using the same exact words on their own website! I doubt all these web design companies are the offices mentioned in the email. So these guys apparently redesign websites around 1,000 times a year, but they don’t look at them first but want you to contact them with your own details so they can sell you things. It’s true that the gist of their email is correct. But for them to claim to be part of the CAN-SPAM movement, send spam themselves, and not actually read anything of the people they contact (just send a generic email to people on a spammers list).. doesn’t give me the impression of an honourable business, just yet more people out to make money on the internet from people who don’t know any better! Thankfully, the Government, industry workers, and members of the voluntary sector have come together in an eAccessibility forum, to develop an action plan to help make digital content accessible by more users. Always using ‘alternative text’ for images (and only then when text is not appropriate in the first place). (rather than the common technique by many designers of using images for text, because they’re being lazy designers and can’t work out how to make the text appear how they want to, in it’s pure form!). Helping the page render differently, depending on the type of browser being used. Using flexible font sizes (rather than fixed pixel dimensions), so users can easily increase the size of any text with a simple mouse action. (The report is also due to be updated every 3 months, with new developments). Websites are the gateway to almost every business, voluntary organisation, or provider of information about public services. Whether or not they are direct sales and marketing tools, they are key contributors to the financial efficiency of each body. A well designed website draws in more users, and reduces the need for other means of customer support such as call centres. Although there are internationally recognised standards and guidelines of website accessibility, these are poorly adhered to by the public sector or by the private sector. This work stream will explore the reasons for this and assist both government and private sector to develop websites and online services that conform appropriately to web standards, guidelines and best practices, such as WCAG 2.0 AA and relevant W3C specifications. It will also take forward plans for a One Stop Shop for information on eAccessibility, and look at how the website designers of tomorrow can be trained to design accessibility into their products and services. I’m very often so disappointed with the incredibly poor ‘housekeeping’ of so many website developers, and just how much extra code has been thrown in to most of the source code, particularly when using ‘design software’ to try and make things look like they think (rather than understanding the language behind it, to just use the ‘pure ingredients’). I look forward to the further adoption of these developments, and seeing how the working party get on. You may have heard in the news today that the government is trying to get everyone in the UK (including rural areas) access to super fast broadband in the next five years. Obviously, this will be of great benefit to the online world as such, and will enable a great degree of rich website content (with video streaming, faster downloads, etc. ), also paving the way for increasingly popular technologies like TV on demand, and interactive contents. For those who have been using broadband for a while (I’ve personally had broadband for 10 years, and was one of the first 1,500 BT Broadband customers! ), almost no-one would go back to dial-up now. I was fortunate to meet a very senior person within the telecommunications industry a few months ago, who helped explain to me how this could be achieved, (as I was puzzled over the knowledge that broadband quality decreases significantly, depending on your copper cable distance from the phone exchange. similarly, it wouldn’t be affordable to run fibre optic cable many km to just one house in a remote valley). As you may know, from 2012 analogue tv is being switched off entirely (many parts of the UK are already digital), and when this happens, the digital signal will actually become stronger (because the analogue signal, interferes with the broadcasting of the digital signals, from the same arial). Because the analogue signal uses up quite a large portion of frequencies for TV (ie like your FM radio broadcasts on a range of frequencies), when the digital switch happens, because digital can be broadcast on a smaller isolated frequency, it opens up a lot of spare frequency space. Which can be reused. In the more rural areas, you might also already be aware of satellite phones (that enable two way communication with satellites, virtually anywhere in the world).. well this same type of technology will also enable very fast broadband speeds in rural homes (and is capable of speeds much greater than we can can currently get via cables at the moment in the UK).